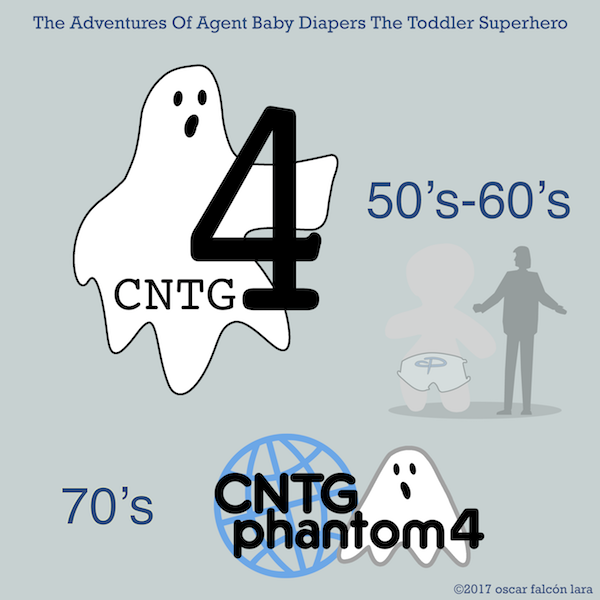 What is CNTG Phantom 4? In the mid 1950's the world's superpowers started stockpiling nuclear arsenal which only escalated as more and more nations were becoming nuclear capable; as an organism dedicated to control and peacetime unification through trade and collaboration The Consortium sought to create a special branch that would keep any rouge military or paramilitary corps in check by keeping tabs on their activities (sometimes under cover of inspection) including nuclear weapons research and development, they called it The Nuclear Tactical Group. The premise was that they could make aware any superpower by reporting on any other's activities through special communications channels, and that of course meant intelligence gathering through obscure diplomatic instruments in most cases. The creation of a special team of individuals that could in theory show up and their mere presence would indicate a problem or a situation that required finesse and a slight delicate touch to correct was not only desired but necessary after a while so by the end of 1957 the Phantom 4 team was created: 4 special individuals with terrifying skills (and the complete backing of The Consortium) no mere mortal would dare confront them. In the decades that followed the team acquired new responsibilities and a new found respect so they moved from a mere offshoot to a special division inside the Nuclear Tactical Group which is still the greatest research, development and testing arm of The Consortium to date. These days The Phantom 4 are led by a former commander that served under Agent Flowerman when he was the leader (he joined after his 'dark period'). Their activities and missions lie under deep cover and are indeed top secret (they have become covert-ops). Their identities are known to a select few and have been always attached to the Superhero Team as support when necessary. Many things have changed since Flowerman left for SHT but one thing remains the same, Agent Flowerman is dedicated to the protection of The Toddler Superhero as a member of The Superhero Team. The fact that Agent Redman has become visible to our heroes (creepy manner notwithstanding) indicates imminent threat.